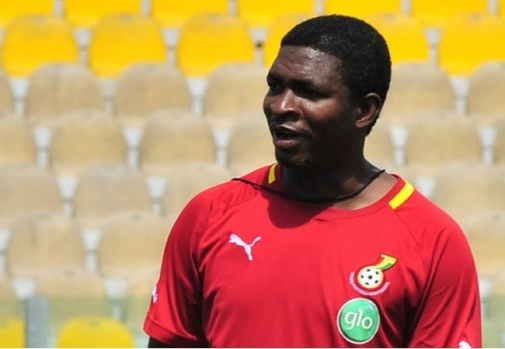 Local Black Stars coach Maxwell Konadu has named 25 players to prepare for next month's friendly against Japan with league leaders Wa All Stars dominating the squad. Six players were selected from impressive league leaders Wa All Stars with Inter Allies and Ashantigold providing three players each. Giants Hearts of Oak and Asante Kotoko provide two players each with the spread of as many as 12 teams in the top-flight contributing players to the squad. The 25 players will open camping with the home-based Black Stars team on Monday April 25 as they prepare to travel to Japan for an international friendly game. Konadu's side face the Japanese National Under-23 side in an international friendly which has been scheduled for Wednesday May 11. All invited players are expected to arrive at the Ghanaman Soccer Centre of Excellence, Prampram at 4pm on Monday.